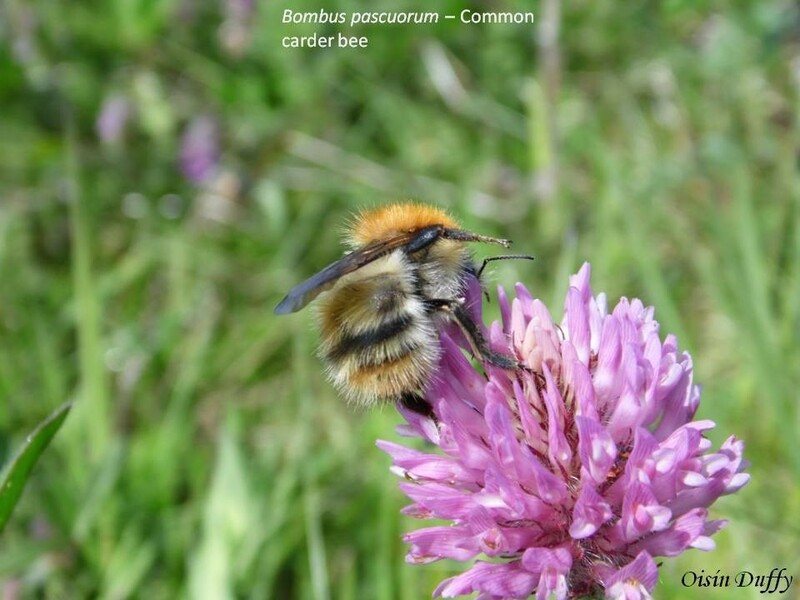 The Common Carder Bee (Bombus Pascuorum) is one of our most common bumblebee species in Ireland. The species is quite distinctive and once it is seen, it cannot really be forgotten. 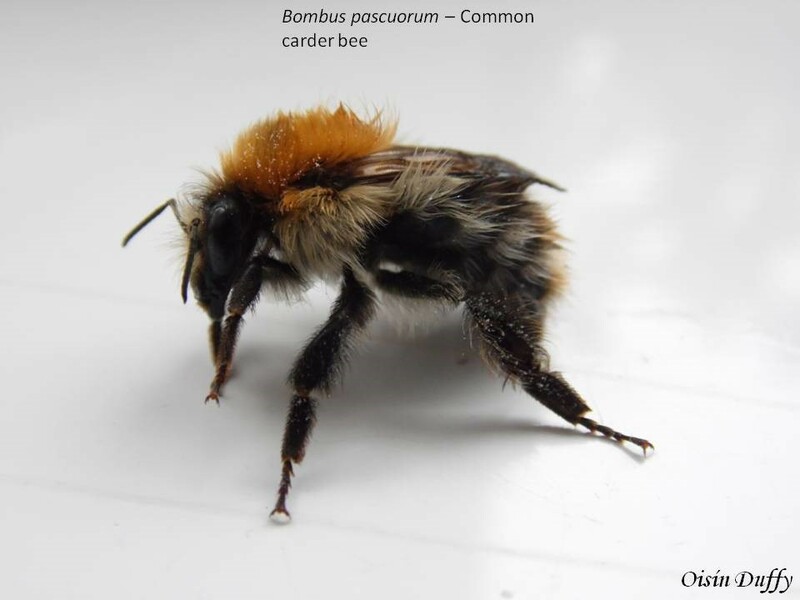 It’s also very lucky that it does not have many confusion species, currently just one in Ireland and that is The Moss Carder Bee (Bombus muscorum) which is another very distinctive species which once you learn the difference, there shouldn’t be too much difficulty in telling them apart (I’ll talk about that below). 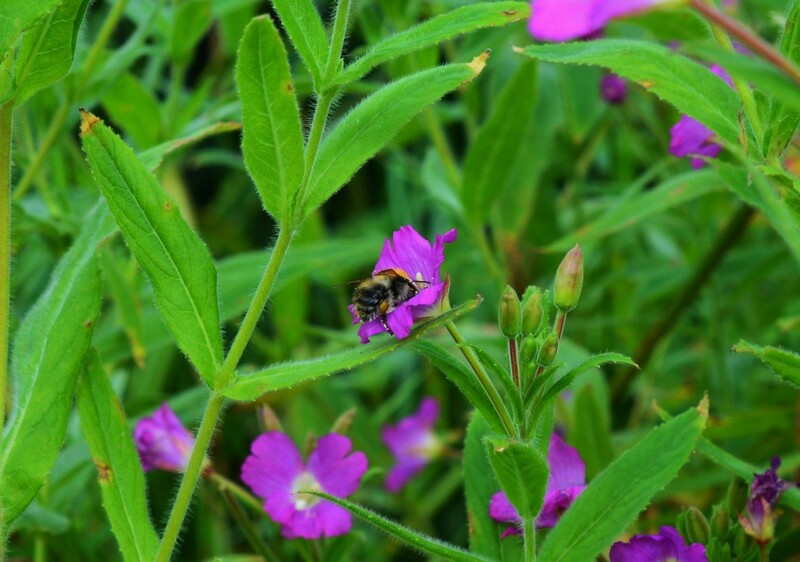 As I mentioned above, the species is common and widespread throughout the country and is found in a wide range of habitats, flower-rich meadows, parklands, waste ground, urban areas and in gardens also. The Common Carder Bee breaks away from all the rest of bumblebees that I’ve written about so far, the main identification feature doesn’t exactly rely on counting stripes or a precise white/red/buff tail colour, in this case the first thing you’ll notice is the ginger thorax. The next thing to look for are black hairs on the abdomen, this can sometimes appear as a band of black hairs. The tail of the species is generally also a gingery colour or tone similar to the thorax. The species can be variable and seems to be one that changes the most from the wear and tear of life (in Autumn I regularly come across grey coloured common carder bee) so fading might cause confusion later in the year, but should not cause too many problems earlier in the year. The other identification feature also helps with distinguishing it from it the moss carder bee are the white fringe of hairs which flank the ginger thorax. The moss carder bee has blond hair which flank it’s ginger thorax, the species does not have the black hairs on the abdomen which are present on the common carder bee, this give the moss carder bee a much more blond appearance. Other than this, in Ireland the moss carder bee is generally found in more coastal locations and species rich grassland. 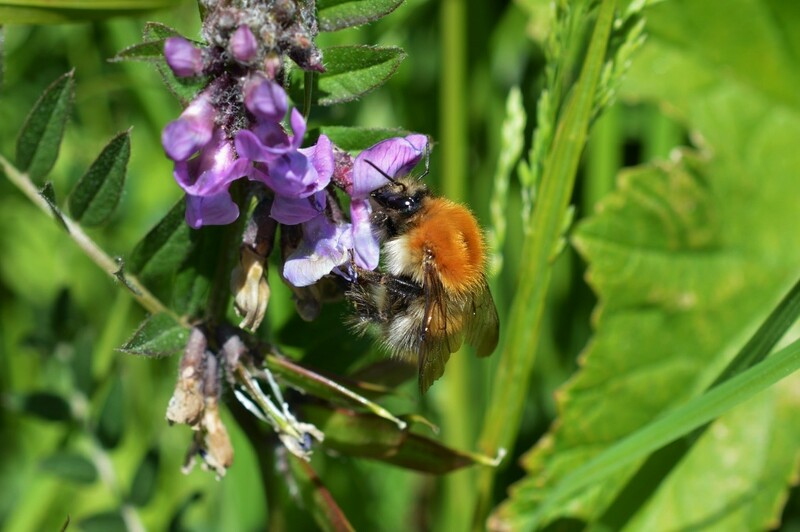 If you’re walking the countryside or in towns and cities during the peak bumblebee season, you are bound to see the common carder bee (Bombus pascuorum). 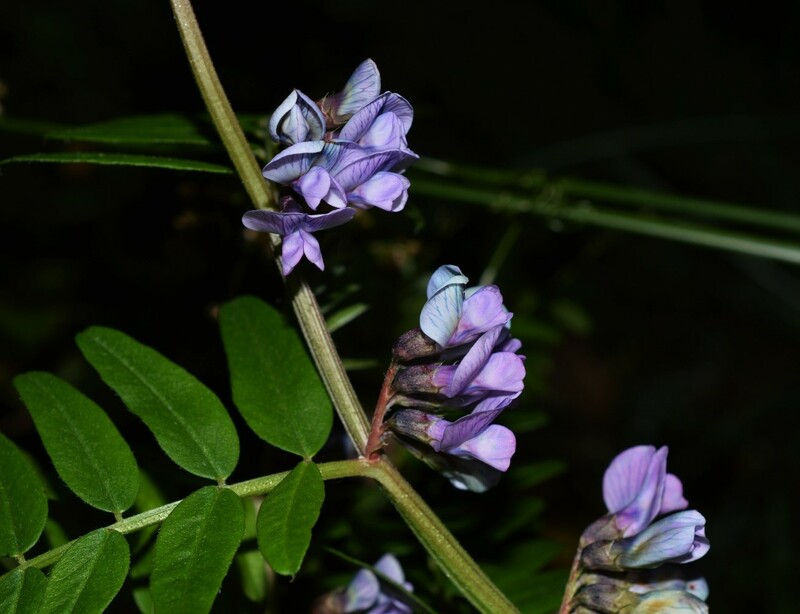 You shouldn’t have to actively look for this species, but if you’re having trouble finding it, then keep an eye out on Bush Vetch (Vicia sepium) which appears to be a particular favourite of the species. If anyone out there has any questions or suggestion regarding this piece or maybe regarding future pieces, feel free to get in touch through twitter @OshDuffy. If you enjoy posts and especially images of plants and pollinators, then be sure to follow me on twitter also.